Installation artist and sculptor Bri Williams’ work induces bizarre feelings — and possibly even an awakening. For her first solo exhibition, Lying is the most fun, Williams brings together common items in nature to convey bottled-up emotions. 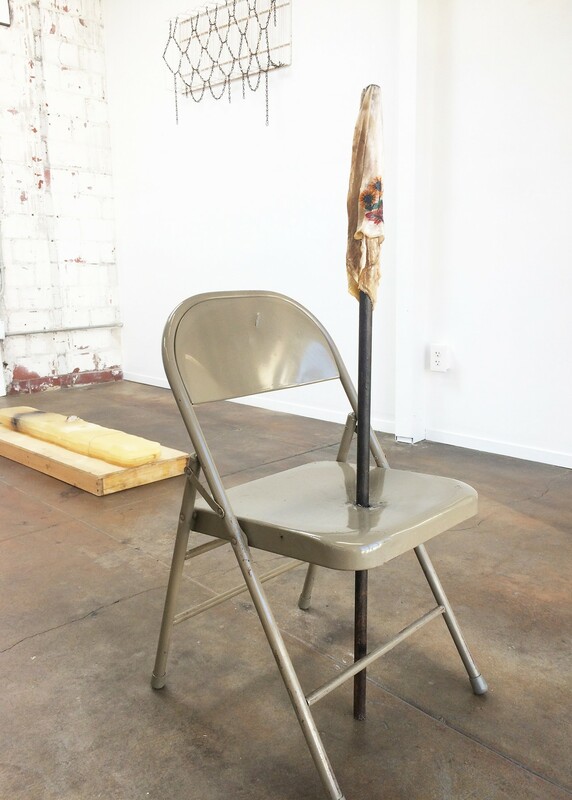 In “Scars that heel and don’t fester,” a piece made out of a metal chair, a metal pole, and a hankie that appears to be abused and dirty, she leaves a window for viewers to look into the reality of trauma and sexual violence. Williams’ artistry — by sticking the pole right dab in the middle of the chair and leaving the handkerchief to loosely hang at the top — represents a survivor’s strength through surrendering as if it were a white flag. The acceptance of truth in her work reveals a new beginning — one where you’re not alone.